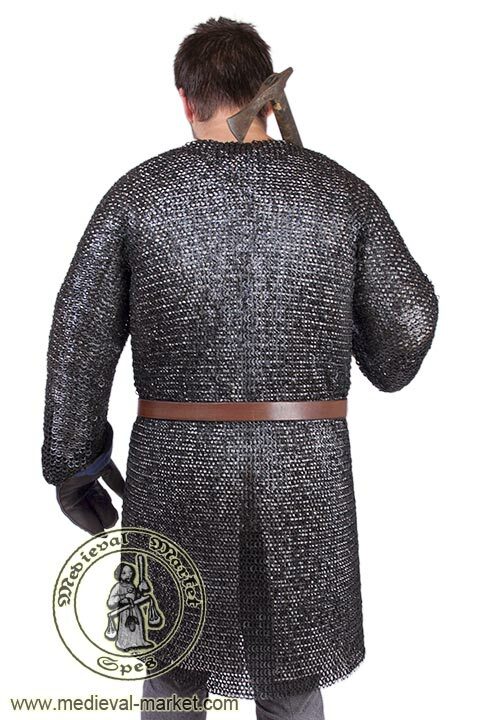 Chainmail with long sleeves (triangular rivets). MEDIEVAL MARKET - SPES. Chainmail reaching the knees, with rivets and long sleeves. 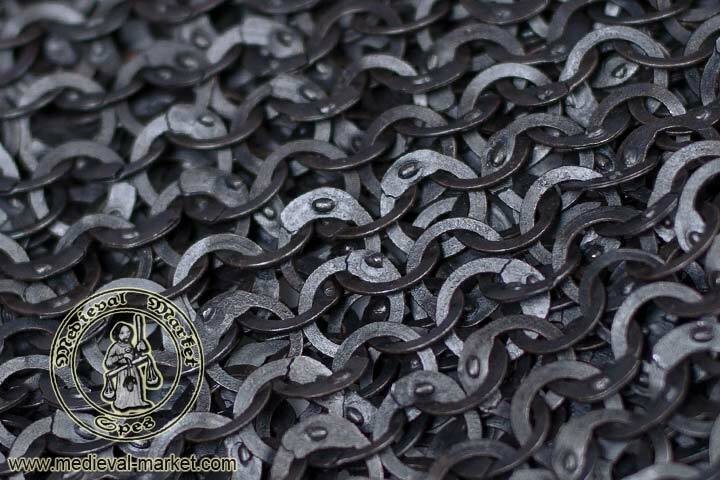 Our mail armor (or chainmaille, hauberk, Haubergeon) consists of thousands of intertwined, flattened steel rings of 9 mm inner diameter. Rivets make a triangular shape. Rings were made of a wire which before flattening had 1,1 mm diameter. The whole of this halsberg was oxidized. 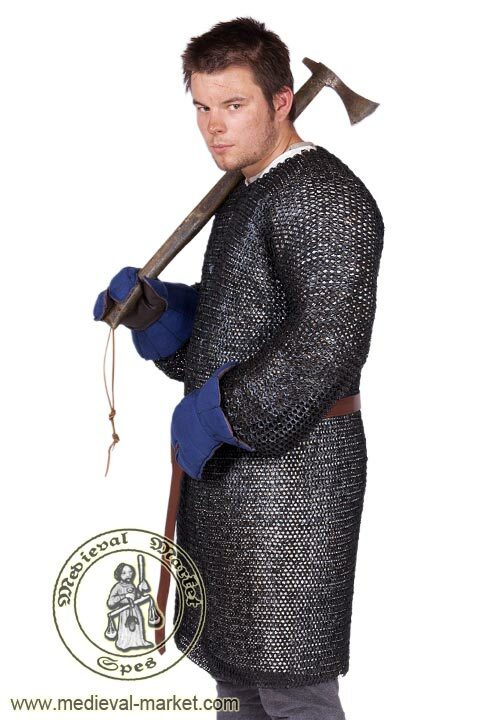 The history of a halsberg chain mail, or chain armor in a wider context, is very long. 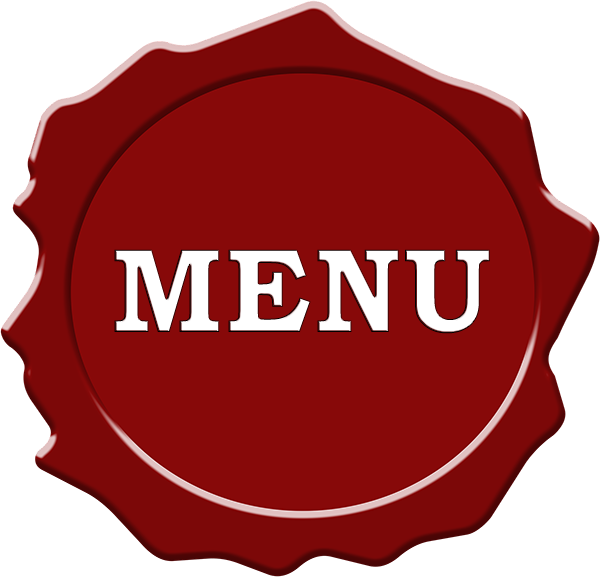 It was known in the ancient times, and used for the whole medieval period. In the Middle Ages it was the basis protection of a knight till the end of 13th century. Hauberk with long sleeves of this type, reaching the knees and with rivets, was used from the 10th century till the beginning of 14th century. 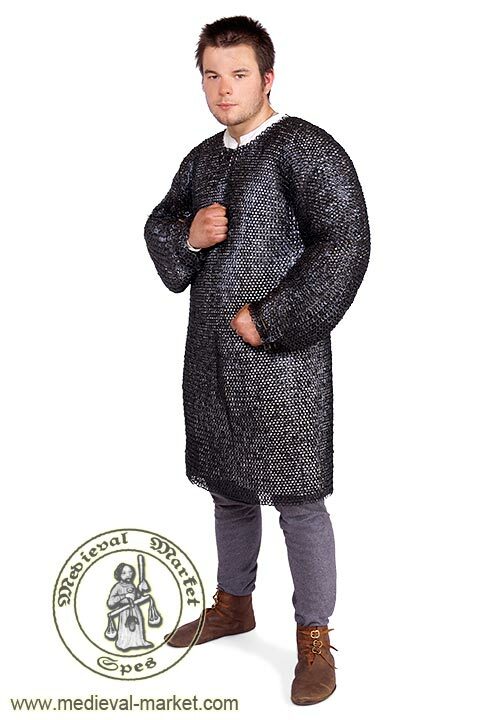 From the 14th century, the length of a chainmail and its sleeves started to become shorter. Illustrations of knights in Haubergeon armors can be found in numerous sources, e.g. in the Codex Manesse. How to assemble a mail armor? 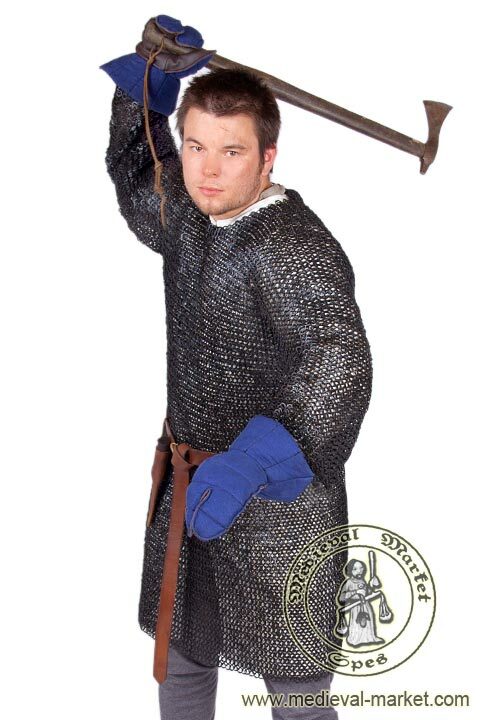 A mail armor, aside from a chainmail, consists of a hood, a collar, and chainmail hands. 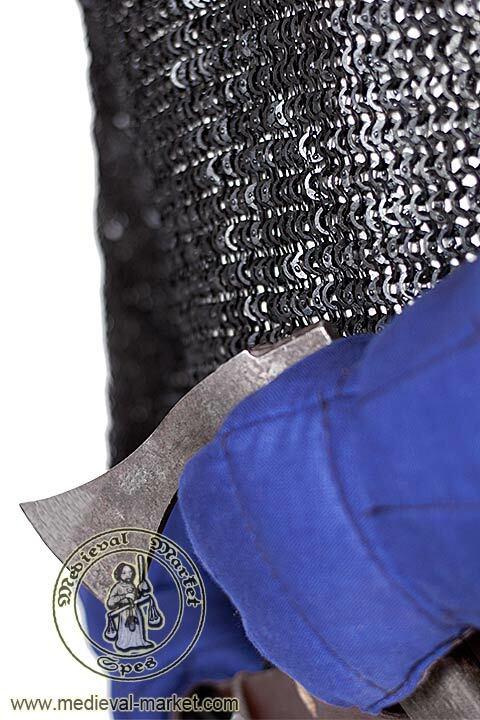 An essential element, which cannot be ignored when using a hauberk, is choosing a proper gambeson. A good jacket will provide a perfect amortization for hits of a weapon. As the number and diversity of medieval arming garments is tremendous, getting a proper gambeson should not be a problem. What is more, the user of a chainmaille can put a colored tunic with an emblem on his armor. * All the above are the maximum measurements; taken from the asprawl hauberk. Please remember that when the chainmail is asprawled in width, its length can be shorter. It is recommended to use a Haubergeon which maximum girth is at least over a dozen of cm larger than body girth of a user, measured on the clothing/gambeson. The weight of a product can differ by +/- 5%.